I've mentioned this before - but I'm resurrecting it. I can't even work out how to add adjustment parameters such as colour correction etc. And stabbing at possible key combinations is getting me nowhere. Can someone please give me some pointers or links? Maybe you can find something in there, I don't know any other recourse. Thanks for the reply. I didn't know about that course. But unfortunately I already know quite a lot of the other stuff that's discussed in it and I don't see any explicit mention of nodes. I suppose that I'm just a bit surprised really. Corona is a commercial release now. And it's one thing not having a manual, but having NO information on how to use such a major area seems a bit slack TBH. 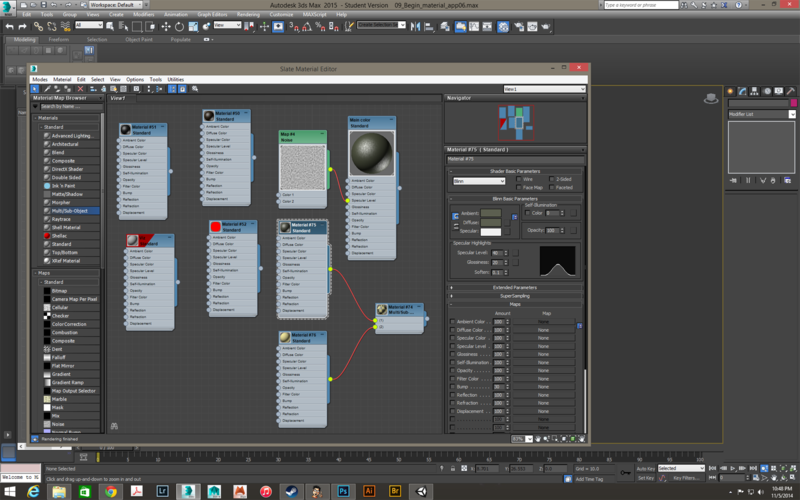 ...I just noticed, the corona team implemented a whole new Material Node Editor for C4D. That's impressive! All from inside wxWidgets as well it seems? I didn't know you could twist and turn wxWidgets into creating something of that caliber. The design decisions are interesting. Instead of putting the outputs in the middle of the node, like 3dsMax does it or letting users freestyle the positions unless it's on the side of the input, like nuke does it, the corona team always leaves the output knob on the first entry in the Node. I wonder why? Maybe collapsing the node doesn't shift around the output position like it does in max? I'm currently working on implementing a Node Editor as well, though nothing related to 3D rendering, based on the C library nuklear and it's guts of a node editor. Definitely some inspiration to be found in Corona Team's work. Thanks Johnnyswedish, good to know. I'll take a look too. They did a good job indeed! It could still use numerous improvements but in C4D R20 we got a built in node edtior that will probably eventually get opened up for 3rd party stuff. If that indeed happens I think having a Corona material editor would be slightly pointless unless it comes with some real advantages. Yes, that "let you see as many materials and maps as you like" is different. Many nodal material editors have you "inside" a particular material (and sometimes that material has to be a special Node Material). While handy, I don't find that near as useful as our approach, which is a "world view" of whatever you drop into it - multiple materials, disconnected maps, whatever you want to view - and none of it has to be a special Node Material to view it there :) Just in case that helps people re-orient how they are thinking about the Corona Node Material Editor. TY for the feedback, all!